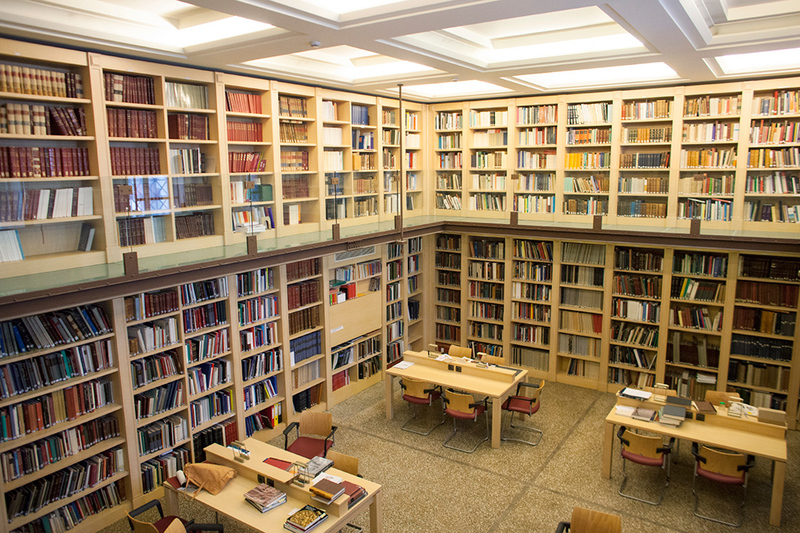 The oldest archaeological library of the Archaeological Service and one of the most important libraries in the field of archaeological knowledge. It has more than 20,000 titles, of which the old ones date back to the 17th century. Books and archival material cover areas of archeology, art history, ancient religions, ancient philosophy, and Greek and Latin literature. Unique archival material is the calendars of the 19th-century and early 20th-century excavations and original archaeological finds. The creation of the library in the 19th century, at the same time as the foundation of the Museum, arose from the need of scientists who have served for a long time in the National Archaeological Museum. It directly covers the solution of scientific issues that arise from the study of the ancient Museum. Its enrichment is enhanced by exchanges with foreign and Greek archaeological institutions as well as by donations, the most important of which is the library of S. Magiasis. After the expansion of the building in 1939 the Library was housed in the area where it is today. It was renovated in 2008 with the sponsorship of the Alexander S. Onassis Public Benefit Foundation. The library is accessible only to the staff of the Ministry of Culture Archaeological Service as well as by special researchers at their request.